Disconnect Your Downspouts - It's the Law! The Toronto City Council approved a mandatory downspout disconnection bylaw way back in 2007. The Toronto bylaw requires homeowners who live within the affected area to disconnect their homes’ downspout from the City’s sewer system within three years of the bylaw being passed. Homes in Toronto built before the 1960's generally had their downspouts connected to the sewer system. While the intentions of this method were good, over time it has shown many flaws and problems. A lot of the old downspouts have been connected to the sewer line with clay pipes underground, and many of these old pipes are more than likely damaged. So what happens is a lot of the water is actually being directed right against your home’s foundation rather than into the sewer system. Since most of the older homes in Toronto have older foundation instead of the modern waterproofing, this means that you are adding to the risk of having moisture problems in your basement by not disconnecting the downspouts. Over the years the city has expanded, and the capacity of the sewer system has become seriously strained especially since much of the city has amalgamated sanitary and storm sewers. This program is happening in 3 phases. The central part of the city. This area is the first to be enforced with the by-law because of it's combined storm-water and sanitary drainage being combined into a single pipe. This happens when a storm occurs and the water running off your roof may mix with the sewage system. Water treatment facilities then become overloaded. This increases the risk of basement flooding, sewer back ups and pollution to our rivers and lakes. The deadline for Phase 1 was November 2011. The second phase runs in the area of Steeles Ave to Elington Ave. Studies show that these areas were reported to have basement flooding. This area has a more modern system; however there is still a problem with all the water run off in streams and creeks causing erosion and flooding. The deadline for Phase 2 is December 3, 2013. The remainder of Home owners throughout Toronto must comply to the by-law no later than December 3, 2016. The building code for the city will have been altered to assure new homes and subdivisions are built to accommodate the extra rainwater runoff, but at this time, everyone in the city will be required to have disconnected their downspouts from the storm sewers. Note---- Depending on the property’s location/slope will play a significant role on the proper solution for the homeowner. There are a number of factors to take into account. 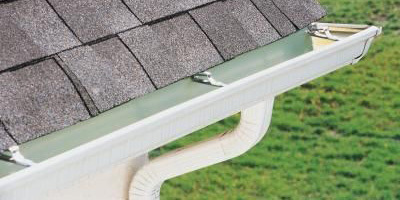 The home owner and knowledgeable contractor such as Alpine Roofing must determine which downpipes can be safely disconnected. If there seems to be no safe solution after inspection, then the homeowner must apply for an exemption. The city has also included financial assistance for those with a gross house hold income of $40,000 or less in the mandatory program. There will be an reimbursement of up to $500. Over all if we would all abide by this law and do our part as home owners, we can reduce the strain we are putting on our environment! Contact us below for a Free Estimate. Over 40,000 satisfied customers have benefited from our variety of services.